Oooh this place is lovely. 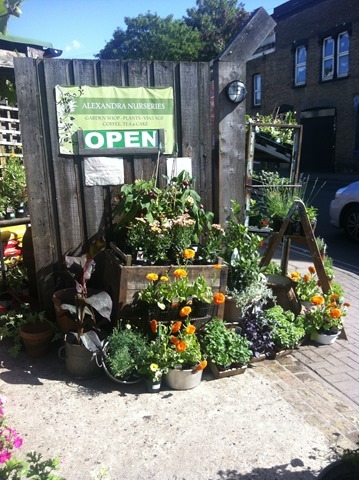 I have discovered a little piece of paradise in the unlikely corner of SE London that is Penge. 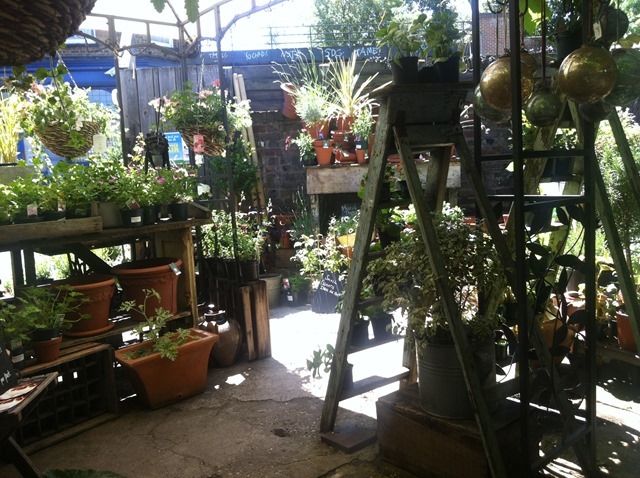 Not hugely known for its quiet, tranquil spaces, and more for the frenetic high street with its pound shops and chicken cottages, Penge is hiding a little secret in Alexandra Nurseries. 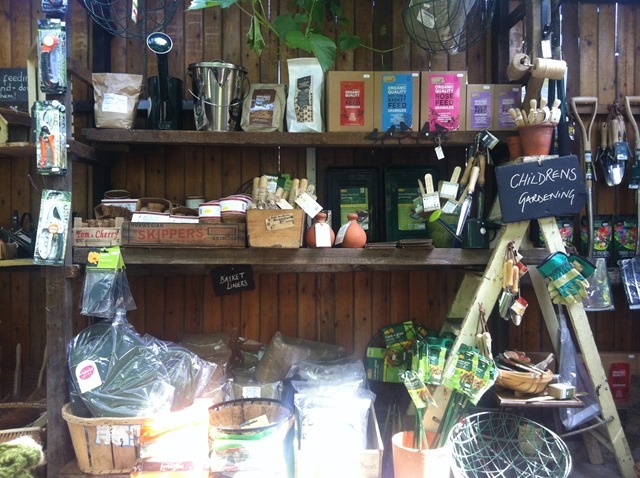 It’s a jewel box of a tiny garden centre that is stuffed full of pretty blooms, unusual potted herbs and eco gardening treats. 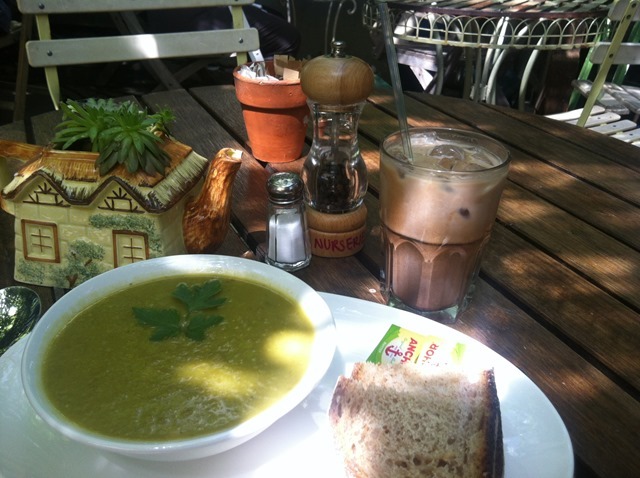 It also boasts a doll’s house-sized cafe which is just ADORABLE. You can sneak in here and just get away from everything, it’s so quiet. 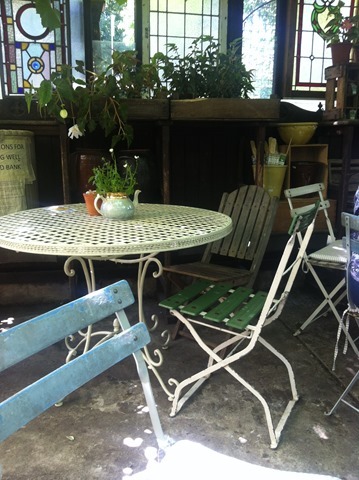 Visitors to the cafe sit at rickety old chairs and tables which are all a bit mismatched and wonky, with grape vines growing overhead and plants tumbling out of pots. 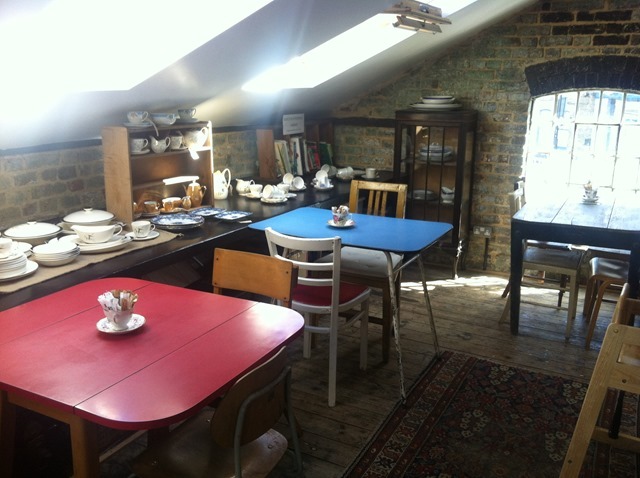 There is eclectic crockery that I would gladly give a home to on my mantelpiece: old antique teapots, pretty patterned china, the occasional bit of kitsch. Service is friendly and relaxed. In fact, I think it would be impossible NOT to relax here – you can feel tranquility wafting down onto your shoulders like a lovely warm breeze. Sounds fabulous, although I reckon it probably scored bonus points for being experienced CHILD FREE! Even my local commuter train can seem like a zen space when I travel without a kid….! Oh yes indeed, Phil – I don’t think it would have been quite as relaxing with Tiny Tempah in tow!